New study in Science shows climate sensitivity overestimated | Watts Up With That? From Oregon State University some news the team and especially Kevin Trenberth just really don’t want to hear. I covered this on a tip from Dr. Pat Michaels back on Nov 9th titled: Climate sensitivity- lowering the IPCC “fat tail” and now the official press release makes the publication well known. Their estimate is 2.4C for a doubling of CO2, which is still higher than Spencer and others have estimated but significantly lower than IPCC’s projections. A link to the paper follows below. Figure 3A. Marginal posterior probability distributions for a doubling of CO2, estimated from land 265 and ocean, land only, and ocean only temperature reconstructions using the standard assumptions 266 (1 × dust, 0 × wind stress, 1 × sea level correction of ΔSSTSL = 0.32 K, see SOM). CORVALLIS, Ore. – A new study suggests that the rate of global warming from doubling of atmospheric carbon dioxide may be less than the most dire estimates of some previous studies – and, in fact, may be less severe than projected by the Intergovernmental Panel on Climate Change report in 2007. Scientists have struggled for years trying to quantify “climate sensitivity” – which is how the Earth will respond to projected increases of atmospheric carbon dioxide. The 2007 IPCC report estimated that the air near the surface of the Earth would warm on average by 2 to 4.5 degrees (Celsius) with a doubling of atmospheric CO2 from pre-industrial standards. The mean, or “expected value” increase in the IPCC estimates was 3.0 degrees; most climate model studies use the doubling of CO2 as a basic index. Some previous studies have claimed the impacts could be much more severe – as much as 10 degrees or higher with a doubling of CO2 – although these projections come with an acknowledged low probability. Studies based on data going back only to 1850 are affected by large uncertainties in the effects of dust and other small particles in the air that reflect sunlight and can influence clouds, known as “aerosol forcing,” or by the absorption of heat by the oceans, the researchers say. The new data changed the assessment of climate models in many ways, said Schmittner, an associate professor in OSU’s College of Earth, Ocean, and Atmospheric Sciences. The researchers’ reconstruction of temperatures has greater spatial coverage and showed less cooling during the Ice Age than most previous studies. “When we first looked at the paleoclimatic data, I was struck by the small cooling of the ocean,” Schmittner said. “On average, the ocean was only about two degrees (Celsius) cooler than it is today, yet the planet was completely different – huge ice sheets over North America and northern Europe, more sea ice and snow, different vegetation, lower sea levels and more dust in the air. “It shows that even very small changes in the ocean’s surface temperature can have an enormous impact elsewhere, particularly over land areas at mid- to high-latitudes,” he added. Which makes (common) sense, because if sensitivity was as high as the IPCC pretended they had proof it was, the first massive vulcanism, or asteroid strike would have made us Venus sometime in the last billion years. This is just another model, though, and it admittedly doesn’t model clouds, so we may find this figure come down again to the more reasonable 1 degree that most lukewarmers think is possible. Now they should add the thermal effect of shifting the permanent climate zones latitudinally and watch the climate sensitivity shrink even further. “The Setting And Maintaining of Earth’s Equilibrium Temperature”. Ho hum. This is too easy. Climate scientists, oceceangraphers etc are starting to clear a path to the door. Expect to see more papers like this over the next few year or two. The sun affects cloudiness and albedo as if opening and closing a set of window blinds. More evidence that the models are junk? The authors are, however, still trying to keep the faith. But as he feels the need to throw activism into the press release, he can’t be taken seriously as a scientist. It makes him look like he has a personal interest in a certain outcome. I have a gut instinct that sensitivity is probably close to 1.5 – 2.4 degrees for a doubling, which is about the level at which the world’s leaders want to peg warming to. This means that we don’t have to destroy industry and the global economy to meet the targets. We should just be as efficient as possible. This is good sound business practice anyway. After several re-runs I got the same results over and over. Digging up a bit deeper I found out that Glacier, Greenland and Antartic melting (for 5.5xCO2) are all lower than for 4.5xCO2; sea expansion being higher as would be expected. I think there must be some other parameter (in the sea-level model) we need to change. Could you run MAGICC with 5.5xCO2 and one of your SRES scenarios just to double check? I think Tom or Sarah probably know the answer to this problem. Mark has given me an introductoty guide to IDL for my “light” reading travelling so I hope to be an “expert” next week! I’ll e-mail you when I get back and have some new results. This reduced estimate of climate sensitivity to CO2 forcing makes things very awkward. Because it is a boundary value problem, the only way to restore the status quo is to either claim that the estimation is wrong or that the climate model is wrong. There is also the boundary problem in the advocacy sense. It won’t be easy to admit that things aren’t nearly as bad as anticipated, thus it buys time for poor nations to industrialize while the EU languishes under the cost of reduction in GHG emission. I thought that the models weren’t predictions but simply possible scenarios? Sometimes computer modelers have a tendency to think that if their model doesn’t match reality then reality must be wrong. This paper is no better than the myriad others before it. When they declare climate sensitivity to be closer to zero I’ll take notice. Why must they always use models? Models are GIGO. We have observational data which would give us a better projection. If one considers the HADCRUT3 data set (and we all know the issues with data sets such as this) for the period say 1900 to 1940 one observes warming of about about 0.4 deg. This is predominantly due to natural variation since there was relatively little increase in atmospheric CO2 during this period. If that is compared to the period 1940 to 2010, one observes a warming of about 0.5 deg. This period comprises of natural variation plus an increase in CO2 of about 1/3rd. Simplistically, this suggests that natural forcings are running at a rate of 0.4 deg C for 40 years, ie., 0.1deg C per decade. If the natural variation drivers that were present during the period 1900 to 1940 are still operating during the period 1940 to 2010 and operating with the same force (admittedly we do not know whether this is so or whether those natural forcings are operating with more or less force), it suggests that the CO2 forcing component cannot be more than 0.1 deg C (ie., 0.5 degC – 0.4 degC) and arguably nil since during the 70 year period 1940 to 2010 temperatures rose by 0.5 deg C which is 0,07deg C per decade and this is less than the 0.1 deg C per decade of natural forcings which were operating during the 1900/1940 period. Of course, one can take different periods and different data sets but all suggests that the response to an increase of say 33% in CO2 concentrations is modest. If the response to C02 .is logarithnic then a doubling in CO2 will result in less than 3 times the response to an the 1/3rd increase of CO2 seen these past 70 to 80 years. Observational data during the instrument periiod suggests that the climate sensitivity to CO2 is small. This is, of course, one reason why model projections are running so warm when their projected results are viewed against current observational data. They have the math circuit board in upside down it should be: a 2.4C rise causes a doubling of CO2! Willis has shown that in the presence of a temperature governor CO2 is disconnected from temperature so *there is no meaningful sensitivity figure*. Shout it from the rooftops, Willis!! The sheer sense of your observation must go mainstream! My take is that this study will be accepted by the consensus greatly because of that little phrase “we still have time”, since we were recently told that after 5 years of business as usual we are screwed anyway (see a previous post by Willis – Finally Some Good News!! Posted on November 11, 2011 by Willis Eschenbach. Since we all know that given that time frame even if God himself (sorry Willis) appeared and declared the “Team” all learned, correct and directly appointed by Him, there is no way in hell (sorry again) that the economies of the world could possible change course from fossil fuel based energy users to so called clean green energy. There simply isn’t a ready alternative in that time frame. So enter stage left another prophet declaring that the powers above have decided that after considerable thought, they have decided to grant us an extension if we immediately change our ways – which is indeed good news. Stephen, I must have read a hundred of your comments here and suddenly the lightbulb went on when I read this. I always though your argument was latitudinal shifts were evidence of some position you have re warming. I now see your argument is latitudinal shifts are the mechanism for climate equilibrium. Seems a plausible theory. I’ll have to pay more attention to your evidence. I have a gut instinct that sensitivity is probably close to 1.5 – 2.4 degrees for a doubling, which is about the level at which the world’s leaders want to peg warming to. There is no real evidence of net positive feedback. So why go past the 1.3 degrees from the straight grey body calculation. This is an extremely poorly done study. Even though they came up with a lower sensitivity, there are major problems with it. – they have Anatarctic 5.0C warmer than it was according to the ice cores. – they used they same artificially low ice-Albedo estimates that all climate model studies use when they are trying to get a high CO2 sensitivity. (the studies downplay the solar radiation reflected by all the extra glacial ice, sea ice, snow, desert and tundra, so that they can blame more of the temperature decline on CO2/GHGs). Someone will just come along later and say the climate sensitivity should have 3.0C per doubling in this study since they underestimated the temperature declines at the last glacial maximum. Online copy of the draft paper. From a first reading of the paper as reported above, they seem to think that the only cause of entering or exiting an ice age is CO₂ levels. If the assumptions were expanded then the conclusions would need to be reexamined. In the red areas, where we find earth is blooming, and more greening, you will note from the results in the tables that the increase in maxima is picked up and trapped by the increasing vegetation. In the blue areas, where substantial de-forestation has been going on, you will find mean temperatures and minima declining or staying unchanged, even though maxima are rising. So, it seems if you want the earth to be greener, a completely natural consequence is that it will also get a bit warmer. I see this WUWT article as a small church service in a once-thriving religious community — a pitiful ritual, attended by the faithful few. This is far too little, far too late. The reality is, it is over. The emptiness of the sacred Greenhouse Effect has been revealed, its day is past, and the unbelievers will only increase in number from now on. Only an inevitable, and unnecessary, Trail of Tears awaits, if you persist in your greenhouse religion. (Geronimo, surrender, you can only harm your people now.) Remember the Twilight Zone episode where James Whitmore Jr. was the leader of a spacewrecked community, keeping their hopes of Earth alive with his faith, and how, when a rescue ship actually did show up, he refused to go with them, preferring to be a priest without followers, doomed never to see Earth again, rather than be once again just another man, rescued by others? Time, and truth, marches on. Lukewarmers are being left behind, along with the alarmists — a dismal, fretful company, I’m afraid. Well put. I think this one marks the transition from “increased restraint” to “capitulation”. A seemingly moderate voice emerges from the climate catastrophy camp. The movement was a bit over zealous in their prediction of immediate doom and gloom causing many to lament that it’s already too late. Being too late to do anything promotes inaction and a general acceptance that there is nothing to do. Can’t have that, there’s no money in it. I thought the term was “Projections”. “Schmittner said continued unabated fossil fuel use could lead to similar warming of the sea surface as reconstruction shows happened between the Last Glacial Maximum and today. I am hoping that the reason for adding this caveat is that it allowed the paper to get past the climate establishment gatekeepers but we all know how this study will be reported by the MSM and tools and useful idiots like Seth BOREenstein . Let’s see … ECS is 2.4 … CO2 is ~390ppm, increasing at ~2ppm pa. If we keep up the current rate (which is questionable since we could be at peak oil already) then we reach 695ppm in just over 150 years time. (According to my calculations, 695ppm is the level at which the temperature increases by 2 deg C). But we’re talking about ECS, which probably takes about 80 years to reach (the IPCC is not very clear on that), so let’s say it takes 200 years to actually reach that temperature. So we have a situation in which our political leaders are taking desperate measures ostensibly to prevent the global temperature from rising 2 deg C, when it is going to take 200 years to reach that temperature at the current rate of CO2 emissions. But, we are going to be very hard pressed to go on producing fossil fuels at the current rate for 200 years, at a price which is lower than whatever advancing technology brings the alternatives down to. In other words, we don’t have to do a single thing now or ever – or certainly not for at least 100 years to be highly conservative about it – to stop the global temperature from rising more than another 2 deg C. That’s fantastic! It’s the best news that the people worried about global warming could possibly want to hear. Tell them they can stop worrying! They’ll be SO pleased!! That is why I persist. It takes different people differing lengths of time for the bulb to light up. It all seems pretty obvious to me but for others with minds that are full of confusing detail the picture is hard to see. I didn’t see anything in the paper that accounts for reduced insolation resulting from the Earth’s orbital parameters (Milankovich cycles) at 21kya, except perhaps a reference to ice albedo. 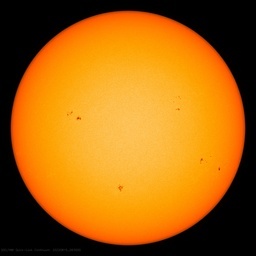 There was less sunlight available at higher latitudes then and the amount of solar energy is the primary driver of ice ages (http://www.mantleplumes.org/WebDocuments/Hays1976.pdf). Without taking the differences of this variable into account, perhaps the climate sensitivity estimate of this study should be even lower. They’re backing away from the consensus in small, politically/socially acceptable steps. This has happened before in science. Examples I’ve read about include the way that incorrect values assigned by consensus to certain fundamental constants were chipped away at in steps over the years to arrive at the correct value, although those making the corrections (except the last) must have realized that a larger correction was needed. But, socially/politically, that was a bridge too far. You almost make me feel sorry for the warmistas, Harry. Maybe I will be after Algore’s trial. the hypothesis that CO2 is a significant driver of global temperature apparently assumes that the future is causing the past. b) It is clear evidence that time machines really do exist. Do they realize “climate sensitivity” isn’t a constant? An earth w/glaciers in the N hemisphere down to 40 deg lat will be quite different than today. The presence of high-albedo ice much closer to the equator than today seems to me would cause a much higher sensitivity since albedo changes cause much greater effect. Hence the drastic climate changes during glacial periods compared to today’s relative steady conditions w/ice confined to the high Arctic. You can’t estimate sensitivity from glacial conditions to interglacial using estimated interglacial (modern) values. Stephen, one additional factor, perhaps included in your own latitudinal shifts would be the restriction or movement of ocean currents to the equatorial zones only. In addition, the ocean surface would be reduced, I’m guessing , 25%ish. This surface area reduction would not only be the glacial extent from the poles, but would include increased land area from sea level reduction. I will read your link later, post coffee, thanks for your thoughtful posts. An important milestone on the road to the correct (low) climate sensitivity. The problem is, instrumental record does not support even half degree per doubling. How come that 40ties were warmer than 80ties in the Northern hemisphere? They can not forever parametrize their models to fit the 30-year long warm phase of PDO/AMO and to portrait it as CO2 warming. For a single value of ‘climate sensitivity’ to exist, then a plots of Taverage vs Tmin and/or Tmax would have to have a slope of 1.0; daily, monthly and annually. Moreover, unlike the assertion of the authors of this paper maintain, it would have to be equal over land and ocean. Should land be heated more that water, then the Southern hemisphere would warm much less than the Northern. If there were to be a larger energy gradient between the two hemispheres, there would be a corresponding increase in atmospheric heat transfer; resulting in a change in wind patterns and speeds. It is hard to envisage, mathematically, how ‘climate sensitivity’ can be both global and linear. About the same time we stopped burning trees for fuel, and replaced them with coal, then oil, the temperatures started rising. As the Japanese JAXA satellite shows, is the the industrialized areas of the northern hemisphere that are ABSORBING the CO2, while the poorest countries in the third world are emitting the CO2. Why? Because Nature emits 30 times as much CO2 each year as humans. By cutting down trees and NOT REPLACING them, as is happening in large areas of the third world to support population increases, humans are affecting natural CO2 levels. And as the temperatures cool, the next study will somehow show even less sensitivity and more sensibility. The snow and ice cover probably explains the below 1.3 sensitivity underestimating cooling. Breaking news!!! Our favorite Aggie, Andy Dessler is now a luke-warmer skeptic!! Got it ! Just dont forget the fudge factors! Someday, I suspect that someone will discover a more compelling climate thermal forcing factor than today’s usual suspect, CO2. It will probably be hailed as a great discovery. Why is it always the same basic conclusion that we must cease using fossil fuels NOW or we are all going to die? Yeh, probably something esoteric like the sun and clouds. The backpedaling begins. I’m suprised they left no probability for less than 1C. Entire GHE = ~333 W/m2 for ~33C temperature gain, so, 33/333 = ~0.1 C/W/m2. Radiative “forcing” from 2xCO2 is supposed to be 3.7 W/m2, so, 0.1 x 3.7 (W/m2’s cancel) = ~0.37C sensitivity for 2xCO2. Your title is misleading. The authors of this study are extremely concerned about the effects of warming especially over land.They do warn that there is still time to prevent this from happening “if we make a concerted effort to change course soon”. WE have a clear choice: do nothing and await our fate; or act prudently, and optimize our chances of minimizing expected impacts. REPLY: The title is fine, compared to IPCC and other even larger sensitivity estimates, which are in fact overestimated, this one at 2.4 C is lower. The Earth has had many events where if climate sensitivity to CO2 and other GHG’s were high, the event would have put Earth into a runaway warming path. Earth’s climate sensitivity thus cannot be as high as some predict. And the only reason for that “concern” is to get past the gatekeeping that we have witnessed goes on in journals thanks to Climatgate showing the issue in sunlight. If they are applying the standard IPCC models to paleo climate then they are only looking at CO2 and volcanic aerosols as climate drivers. They still aren’t accounting indirect solar effects, which are strongly evidenced by high paleo-correlations between temp and cosmogenic isotopes (whether the mechanism is GCR-cloud or not). So it’s still the same old garbage. I’m not sure what is your point. Does it make a difference if you use trees, coal or oil for survival? except that if you cut trees it is going to get colder, as evident from my investigations. What do want? if you live in a warm area, you might like it getting colder. Or if you live in a colder area, put up more trees. It’s a model-based result. If you don’t believe the models to be accurate, then there is no reason for you to believe this result. In fact, if you read the article in its entirety, they make a good case that the model is not accurate enough for its intended purpose. The authors are forthright and clear in addressing the limits of the knowledge encoded in the programs. There are other reasons showing that the sensitivity number is highly exaggerated. One example out of many. I can post lots more if you like. Just ask. This is some seriously flawed stuff. There is no reason to presume that sensitivity is linear and every reason to believe it isn’t. There are two great attractors in the climate system – all ice and no ice. These stable points are albedo driven. Ice begets ice and water begets water. For the past several million years the earth has been perched on a tipping point between the two great attractors. Sensitivity is high to EVERYTHING at the present time but once the ice is well established or well removed there’s little sensitivity left and one or the other of the stable states persist. The winner for over 90% of the earth’s history is no ice. Ice ages are periods of low activity for the biosphere. If anyone is truly interested in a green planet they certainly cannot be against a warmer planet, much warmer that it is today. You are confusing a philosophical debate – with a [ supposed ] “scientific” debate. Climate sensitivity to CO2 is quite unlikely to be linear. When the earth is at a tipping point between being dominated by ice or dominated by liquid water then the climate will be more sensitive than usual to ANYTHING that causes additional warming or cooling. There are two great attractors, all ice and no ice. Historically the latter is the more persistent. And you are certainly correct that there has never been a runaway greenhouse. That is limited by the third phase of H20, water vapor. As it gets warmer and warmer and more and more of the surface is covered by liquid there’s more evaporation and more clouds both of which cool the surface by first transporting heat away from the surface in latent heat of vaporization and second by forming highly reflective clouds which block warming sunlight from reaching the surface. On a water world like ours it’s the phases of water which run the show not the non-condensing composition of the atmosphere. Hi Dave, it is great that we find each other here. The last time you said: Co2 has very little effect over the oceans which is 71% of the planet’s surface because the oceans only gives up 20% of its solar heating. I am disputing that. I think you got it wrong. I am now busy with a weatherstation in China, in Changsha and I am willing to place a bet with you that I will find some cooling there. And I think you know why we will find cooling there. Yes I think there would likely be lots of second order effects apart from permanent climate zone shifting and you mention a couple of possibilities. Further examples are those suggested by other contributors here such as HenryP, Vuk, and many other regulars. However, whatever the netted out forcing effect of all other factors combined, it is ultimately that latitudinal shifting that holds the balance so as to bring global average tropospheric air temperatures back in line with sea surface temperatures thereby maintaining system stability for more than 4 billion years. My work simply presents a skeleton constructed from the primary players of sun (from the top down), oceans (from the bottom up) and atmospheric pressure (which sets the energy cost per unit of evaporation). Many other intelligent contributors here can probably graft on some flesh and skin to move us towards a more complete climate description in the years ahead. I have presented a basic climate overview which fits the laws of physics and observations better than any other so far (in my humble opinion) but it does need extending and refining. It would be nice if someone influential would pick it up, run with it and test it to destruction if appropriate. If it can withstand such a process we would see a major advance in climatology. If it cannot then I am proud that I did my best without bias either way.Any component left standing could still be useful. I think this would be an ideal moment. Climategate 2 has delivered yet another blow to the consensus and those of us without bias would dearly like to see some sort of progress in the science by way of an alternative to that discredited theory. That is nearly right but there is a problem in that global cloudiness decreased during the warming spell and is now increasing during the cooling spell (or at least lack of warming spell). Unexpectedly the faster water cycle that offsets a warming trend is accompanied by LESS global cloud cover. My suggestion that the process is controlled by latitudinal climate zone shifting would solve that problem. The faster water cycle results in a more zonal / poleward set of jets. Being more zonal the jets are shorter but more vigorous with more vertical movement within the cloud bands throwing energy upward faster. However global cloudiness is reduced because what goes up must come down and so the high pressure cells either side of the jets intensify and low cloud within them dissipates. A slower water cycle results in more meridional / equatorward and less vigorous jets which wander about over a much larger area. Since there is less vigour in the jets and less upward energy transfer the high pressure cells are weakened and more low cloud cover develops over larger areas. The outcome is that the system is kept stable either way because in a warming spell more solar energy gets into the oceans from less clouds but the faster water cycle offsets the effect. In a cooling spell less solar energy gets into the oceans from more clouds but the slower water cycle slows down energy loss to space to try to maintain system stability as long as possible. The detailed mechanisms are set out in the articles I linked to earlier. Being so counterintuitive it all seems unlikely at first but if you think about it and compare to observations there seems to be no other way to square the circle. This morning I just posted an article about this new paper. Little by little the truth (as little as we know of it) will emerge for all to see. Will it be to late for Europe? The US? So, based on that study, we should be grateful that we are building in a 2 degree “cushion” in temperature. That way, if natural processes lower the temperature, we don’t enter an ice age (the extra CO2 saves us). … The new analysis also reduces the expected rise in average surface temperatures to just over 2C, from 3C. Interpretation: The climate model uses the current 150 interval to indicate a future (as in future bounded, fixed, clamped, determined value) of dire consequence. 2) Assertion: ( unstated ) By using the ‘climate model’ with the present 150 year interval of historical measurements to predict a future of dire consequence, we also unavoidably make a prediction as to the palaeoclimate. Interpretation: In using the ‘climate model’ with current data to predict future outcome, the past performance is unavoidably constrained. Interpretation: Houston, we’ve had a problem. We’ve had a main B bus undervolt. Interpretation: For me personally, the corrective adjustment is akin to placing the ‘climate model’ between jaws of a vice and applying a Procrustean reduction to 2 parts in 3. The ‘climate model’ that is presently used is not very good. It is in serious trouble. I admire the BBC’s candid reporting of this new study. It affirms their impartiality in the face of considerable awkwardness. Further comments from the BBC article quoted below actually acknowledge the severity of this challenge to the current ‘climate model’. They are more about reticent acknowledgement than refutation. The main reason I ignored your latitudinal shifts argument was that climate zone latitudinal shifts was THE prediction of the Warmers from the begining (30+ years ago). It simply didn’t happen to the degree predicted and what latitudinal shifting that did occur appears to be mostly ENSO related. So the Warmers quietly ‘forgot’ about latitudinal shifts, or at least hoped others would forget. But latitudinal shifts as a non-linear feedback makes sense. Whether it is the main component I don’t know, but its clear to me that the Earth’s climate must be dominated by fast (faster than GHGs) non-linear -ve feedbacks. Otherwise it would go unstable. When I get more time, I will read your stuff in detail. Are the milankovitch cycles considered? Correct and that ENSO influence forms part of my bottom up oceanic portion. However there was substantial such shifting from MWP to LIA to date which was far greater than the ENSO influence alone could have provided. Furthermore I noted the poleward shift going into reverse around 2000 and the process has consolidated since and of course that is against AGW theory. Thus my attention turned to the likelihood of a top down solar effect. Then the recent very quiet sun was linked to a record negative AO so the evidence is accumulating in favour of my hypothesis. if you look at observation data in the past 150 years you are estimaing the TCR. is not the steady state response. The TCR is less than the ECR. With climate “scientists” this appears to be the norm. With them only sometimes thinking that if their model dosn’t match reality then just maybe the problem is with the model. It is a feeble excuse for the failure to understand what is actually going on, and perpetuate an unsustainable hypothesis. Now even NASA’s Dr. Hathaway agrees that solar input matters, but doesn’t know how. Do you mean the GHG effect of CO2? Or that it acts as fertilizer & plantfood, thereby helping to increase the greening of the planet? Note the difference in the results of the NH and the SH if you look at the mean (average) temps. Does not make sense to say it must be the GHG effect because otherwise NH and SH should be the same? So, it seems if you want the earth to be greener, the natural consequence is that it will also get a bit warmer. The surface warming is substantially a spurious Tmin signal, which I am looking at right now. Lots of data to download and collate. It’s scandalous that climate scientist’s awash in grant money aren’t doing this. Now just you watch… the warmists will soon produce a peer reviewed paper that will contradict this one. I’m not being silly. It will happen. Heck, if the ‘climategate’ IPCC scientists could dictate that it is Co2 that influences temperature rather than the other way round, and if they could dictate that Co2 is the key driver of climate change, heck… they will have no problem exposing this latest paper as clearly being unreliable and probably indirectly funded by ‘big oil corporations’ thus making the paper nothing but propaganda. And of course, their message will be heavily publicised by the ‘impartial’ BBC and the UK’s ‘objective’ newspaper, the Guardian. Such is the state of climate science. Any climate study is now held with deep suspicion by the public, and seen as simply trying to promote one or the other side of the climate debate. It’s all become ridiculous… like going around in a circle and getting nowhere! The Transient Climate Response timeline depends on energy accumulating in ocean heat, ice-sheet melt and land (and where-ever else it can accumulate) and thus not influencing the surface temperatures yet. But we can only find between 0.0 W/m2 and 0.3 W/m2 accumulating right now so the Transient Response is very close to the full Equilibrium Climate Response right now. The science has been hiding behind TCR for several years now but it is only equivalent to a delay between 0 to 7 years at today’s rates. The process of “walking back the cat” has begun. It will be interesting. 1. At high sensitivities, observations of glacial advances aren’t enough. 2. At low sensitivities, observations of glacial advances are too much. 3. At moderate sensitivities, observations of glacial advances are just right. Goldilocks has found a scenario that matches expectations to observation. However, what was found was just ONE matching scenario. We could have done cloud cover mathematics that did as well, and that that would not have been proof of anything other than one set of parameters with a certain set of assumptions fit the data. The Gore-Mann-Hansen-IPCC position is that there is a unique solution, and that unique solution is CO2. Any geologist will tell you that he can create multiple, internally consistent stories with the same datapoints if the datapoints are not reasonable dense and distributed reasonably according to what he he is looking for. Yes, a 2.4C result can be calculated for a doubling of CO2, but that doesn’t mean that a doubling of CO2 will result in a 2.4C (or other) temperature rise. Just that, with certain assumptions, the math works. Temperature rises and drops can be brought on with a number of mechanisms; the demand is that the truly unique signatures of CO2 must be found to eliminate the other, overlapping, factors. The tropospheric heat blob was supposed to be one, as was the proportionate heat content of the shallow oceans. Neither has been seen, yet this has not weakened the alarmists’/believers’ positions socially. The concept of non-unique solutions appears beyond the intellectual tolerance for uncertainty of the anti-CO2, anti-captialist, anti-energy fan. The conclusions that come out of this re-work will be completely misinterpreted as predictions of will happen with a doubling of CO2. All that has been done is constrain the mathematics upon which the assumptions act. The narrowing of possible outcomes is good, of course, as it leaves less wiggle space for observations to fit into. But still there is nothing in this to say that CO2 is responsible in its majority (or entierty) for the observed 20th century global temperature rise. All focus should be on the signs unique to CO2. Of course, such a thing would shift focus to the true uncertainty of the threat of CO2. Which, right now, is socially, politically and, funding-wise, unacceptable. It’s curious to see how various AGW skeptics position themselves when such studies come out. It says a great deal about what kind of skeptic they are. On one hand, do they accept the results of the study and admit that doubling CO2 will affect future global temperatures in a statistically significant way (even if less than the 3C increase for a doubling that some warmists would posit), or do they ignore the study and continue on with the mantra that this is just “another model” and nothing to do with reality? Regarding the study itself, though I’ve only read the abstract and the supplemental materials and methods, it seems the study is a very decent attempt to reduce uncertainty in ECS (estimate of climate sensitivity) to a doubling of CO2, however, the authors themselves recognize the limitations of their own study and clearly list them, such assumptions in dealing with dust, vegetation, etc., and the overall the potential for nonlinear responses not captured in the parameters. These nonlinear responses, for example, could include the response of permafrost to the geologically rapid release of CO2, with the added positive feedback effect of the additional release methane over. This nonlinear response is of course tied directly to difficulty in modeling a system existing on the edge of chaos, meaning that trying to ascertain ECS by looking at the response of the climate during the last glacial maximum, might not be as valid as looking at it during the last interglacial, or perhaps even better, the last time CO2 was at the levels we see today, which was during the mid-Pliocene. Still, I can applaud their efforts in attempting to reduce uncertainty in ECS for a doubling of CO2. Or something obscure like the optical reflectivity due to the species of oceanic algae that happens to be predominant at any given time. There might even be a cyclic feedback effect if the more reflective species became more abundant in warmer water. R Gates – your last comment, ending “ ….. I can applaud their efforts in attempting to reduce uncertainty in ECS for a doubling of CO2 sounds reasonable and reasoned, but like the paper it is based on the assumption that the observed temperature changes were caused by CO2. Until that premise can be established, the paper is meaningless. Has it ever occurred to you that the years and years of expensive effort to evaluate climate sensitivity have resulted in failure simply because the whole exercise is based on a false premise. I submit that the exercise has failed so consistently and for so long that this is now the most likely explanation. 1) That the climate has any sensitivity to CO2 levels at all? 2) That we should try to establish what those sensitivity levels are? If CO2 were the only factor at work in the climate, or if that response were simply linear, or if there were feedback processes, both negative and positive at work, or if the climate were not a system existing on the edge of chaos, with small inputs leading to big effects over short and long time frames, then the estimate of sensitivity to CO2 changes would not be an issue. But as all these factors are part of the climate system, the sensitivity of the climate to changes in CO2 remains a key issue…if not THE key issue in current climate research. At current and projected concentrations, CO2 is harmless and beneficial. Simple, straight to the point, testable, and falsifiable. Using the Scientific Method, show us empirical evidence of global harm due to human CO2 emissions. Make sure the global damage is quantifiable, and directly traceable specifically to human CO2 emissions. So far, the only thing I’ve heard are crickets chirping; the hypothesis remains standing. But by all means, try to falsify it if you can. Just make sure you provide solid, verifiable evidence of global harm from CO2. Models don’t count, because they’re models. They are programmed by folks with a vested interest in the outcome, and they are certainly not evidence. The fact is that CO2 is harmless, and beneficial to the biosphere. More is better. More [natural] warming is better, too. A 2° – 3°C rise would be good for everyone. Not a hypothesis Smokey, but with a bit more refinement, it might be. Define the terms harmless and beneficial in scientific terms and exactly for whom they would apply, and you might have the beginnings of something you could test. And by the way, you seem to think I would disagree with this hypothesis (once you get it fully formulated) which is perhaps one more assumption that you might want to test. • material damage : it’s unlikely to do much harm to the engine. As for beneficial, that’s just as easy. I’ve posted numerous links showing that trees and crops grow faster and require less water when CO2 rises. Beneficial, no? And yes, I do think you would disagree with that hypothesis… if you could find any evidence of global harm from the rise in CO2. Since you can’t, you hair-split definitions. So why not just admit that the “carbon” scare is baseless? It’s the job of the R. Gates’ of the world to do the work. You’re the folks claiming planetary crisis. Here’s a primer for you. “Ambient CO2 level in outside air is about 340 ppm by volume. All plants grow well at this level but as CO2 levels are raised by 1,000 ppm photosynthesis increases proportionately resulting in more sugars and carbohydrates available for plant growth. Any actively growing crop in a tightly clad greenhouse with little or no ventilation can readily reduce the CO2 level during the day to as low as 200 ppm. The decrease in photosynthesis when CO2 level drops from 340 ppm to 200 ppm is similar to the increase when the CO2 levels are raised from 340 to about 1,300 ppm (Figure 1). Well, if nothing else, I would say R. Gates is at the top of his game. A nice start Smokey. You seem to be focusing on what increased CO2 will do for “trees” and “crops”. So I suppose that you are then putting all plants into the mix and suggesting that all flora on the planet will not be harmed by higher levels of CO2 in the atmosphere? Are you lumping in fauna as well? Are you including levels in both the atmosphere and oceans? Are you including the flora and fauna of the oceans in your “do no harm” and “beneficial” quasi-hypothesis for increasing levels of CO2? In term of the precision required to become a true hypothesis, which you claim are hair-splitting– sorry, but that’s what is required. Finally, you are completely wrong in your continued assumption that I believe in catastrophic AGW. I would challenge you to find one post where I stated that I believe that to be the case. Especially if the sun does enter into a sleepy Maunder-type minimum, Europe and New England at least will be very happy for the extra bit of help from the additional CO2 to prop up temperatures. Sorry, but I’m not the “folks” claiming any sort of crisis. I simply have stated that I believe humans are causing climate change. I simply have stated that I believe humans are causing climate change. One may “believe” anything they wish, I suppose. But here’s the thing: Climate ALWAYS changes and always has. I think it is fair to say that we are possibly still in recovery from the LIA as temperatures have still not recovered to what they were prior to that event according to agricultural chronicles of the time. We still can’t grow some crops in the places they were growing during the MWP. But more importantly, the data should be quite obvious but it isn’t. We still have these “scientists” arguing among themselves if their presentations are even credible. Sure, in their public face they all stand unified, but in private they aren’t. Just no single one of them wants to be the guy that kills the golden goose. There is still no good evidence that climate is warming any faster than it has in the past. It certainly isn’t warmer than it has been in the documented past. You can “believe” anything you wish to believe. Matters of faith are often immobile to logic. That’s fine but state it for what it is. It isn’t based on science. The science says we still don’t have any observational evidence of AGW. Why haven’t temperatures exceeded 1933? It’s been 78 years, we still haven’t exceeded it (yeah, I know, some records were recently adjusted AGAIN to make 1933 a little cooler and make 1998 a little warmer so that the 1998 temperatures would very, very slightly exceed 1933 but those are “adjustments” coming long after the fact produced by people with a vested interest in those adjustments) But we certainly don’t have any global hockey stick going on. Perhaps that false premise or bias was the environmentalist belief that poisonous chemicals produced by modern industry were causing irreversible damage to our environment and the modern (post normal) scientist has a duty to make the public aware of this, compounded by the propensity of those holding this belief to take up environmental sciences as their life’s work. This is a chart showing what the current Solar Forcing is by Latitude and what this study used (and what Hansen and R. Gates and all the climate model studies use). It is deliberately modeled far too high so that more of the reduction in temperatures can be ascribed to CO2/GHG. As I said would happen with the study, SkepticalScience and others are already saying they used too small of a temperature decline, they used the poor University of Victoria climate model, they missed the regional temperatures by a wide margin. It should have produced 3.0C per doubling. The article is, of course, completely wrong because they have deliberately on purpose, underestimated the Albedo change from all that glacial ice, sea ice, snow, desert and grassland. As others have mentioned above, it’s a moot point studying sensitivity issues when the real problem is with the models. These dire “predictions” of future temperature increases are spurious if the science of the models themselves is erroneous. “You seem to be focusing on what increased CO2 will do for “trees” and “crops”. So I suppose that you are then putting all plants into the mix and suggesting that all flora on the planet will not be harmed by higher levels of CO2 in the atmosphere? Are you lumping in fauna as well? Are you including levels in both the atmosphere and oceans? Are you including the flora and fauna of the oceans in your “do no harm” and “beneficial”… & etc. Not one bit of evidence showing any global harm from CO2. Just rambling nonsense as usual. But I appreciate your admitting that you believe humans are causing climate change. Belief is all you’ve got, while skeptics have plenty of empirical evidence to back up our skepticism. Humans cause regional climate change through land use changes. But there is zero evidence verifying that CO2 causes any changes in global temperatures. Could possibly be the case, but there is no supporting, testable evidence. There is only conjecture. Since a few percent changes in cloud cover overwhelm any possible human effects on atmospheric gas mixtures, the model is worthless from the get-go. Svensmark’s observations, and many others, change the whole ball game. As another example of the gaping holes in the holey AGW assumption barge, Dr. Jinan Cao posts a link to a new paper, Role of heat reservation of N2 and O2 and the role of heat dissipation of CO2 and water vapour challenging the rejection of low sensitivities. In fact, he observes that since only radiative gases (H2O and CO2, prominently) can dump heat into space, their net effect on heat retention must be negative, not positive.